In a reflection of the industry’s ongoing interest in developing SMB promotional and loyalty services, Yodle founder Nate Stevens’ venture fund announced last week that it is putting $1.7 Million into Punchey, a new mobile-oriented payments and promotions platform. The 12 person, Boston-based firm was founded in late 2011 and is focused on SMB “upstream marketing initiatives,” notes Stevens. Features include promotions, customer communications, digital receipts and analytics. About a dozen SMBs have been testing the service in different markets, with new clients signing up daily. The company’s ambition is to replace cash registers and stand-alone dial terminals. Vertically integrated POS solutions will be dealt with through integration/partnership. 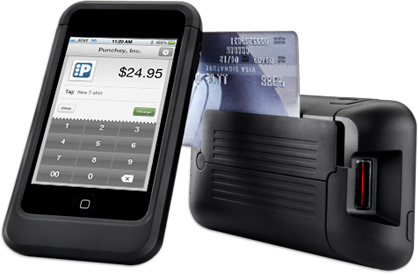 Today, businesses working with Punchey can accept cards via a mobile phone, iPod, any PC using an independent mobile card reader or a countertop card reader that is compatible with in-store computers. While the whole loyalty and rewards space is converging in many ways, the emphasis on alternative POS suggests that it will seek to directly compete against players such as Square. Stevens sees a natural progression between Punchey and his work at Yodle, which has focused on getting businesses online and developing their Web presence. While there is “a perennial need to upgrade and improve SMB websites, what we learned is that there is also an opportunity on the processing and loyalty/retention side of the house,” he says. “Everything can be tied together, pre-sale, point of sale, post-sale through an intelligent and integrated payment processing engine,” adds Stevens.